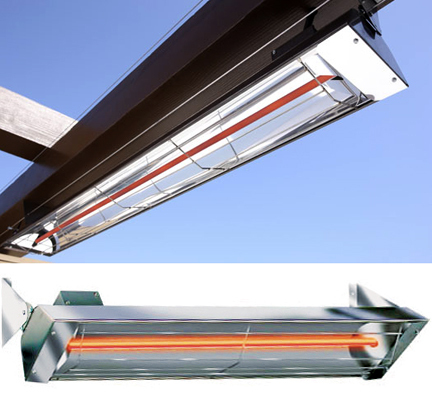 Our Infratech W2500 Stainless Steel radiant outdoor heaters offer a great way to heat your outdoor living area. 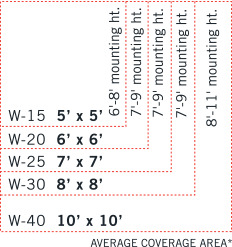 With minimal clearance restrictions, you can mount them easily and almost anywhere. Regular heaters blow air and Radiant heat warms people and objects. It is important to go over in coverage if you live in a COLD climate as the coverage will be reduced a bit. Radiant heat is clean, efficient and economical. 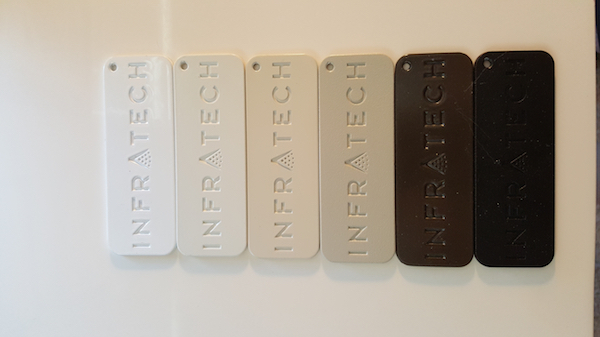 If you are concerned about "orange glow", no worries, you will not get that with Infratech. The light from the bulb is barely discernible so your outdoor area will be a pleasant place to be! Warm up your friends and family and make your outdoor living space the place to gather, even when it is a little chilly outside! • A SURFACE CEILING / WALL MOUNT IS INCLUDED WITH THIS INFRATECH HEATER.